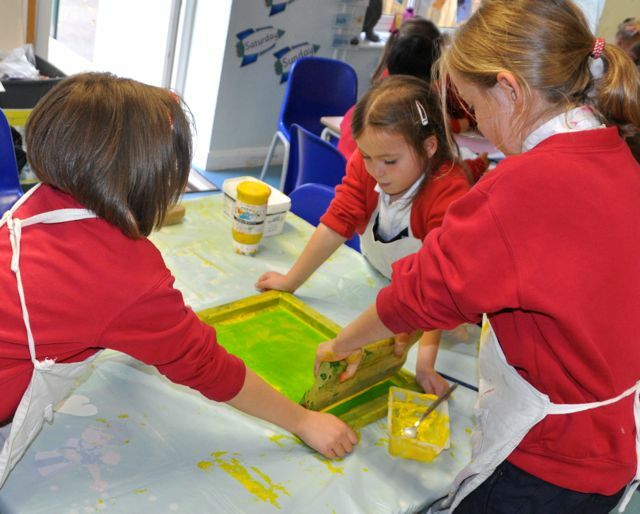 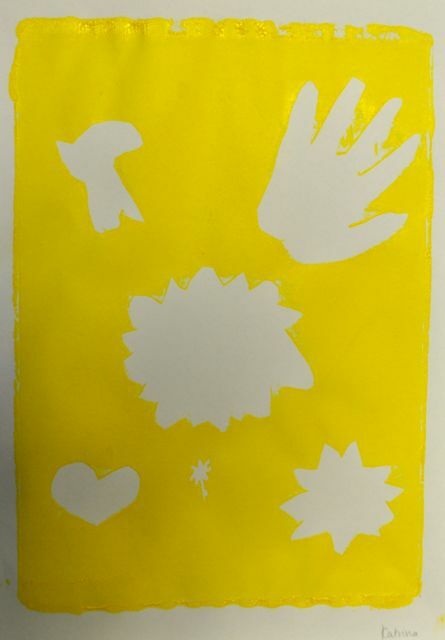 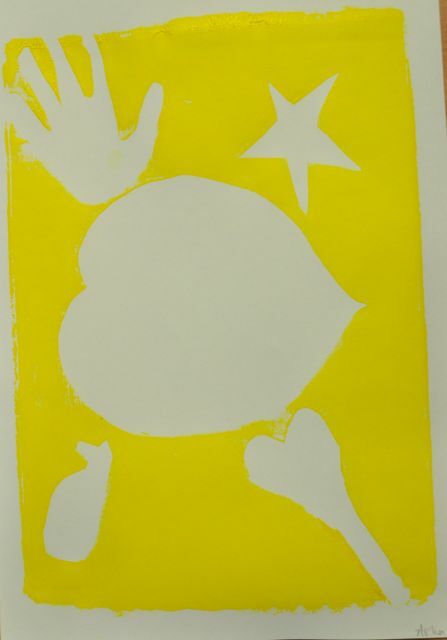 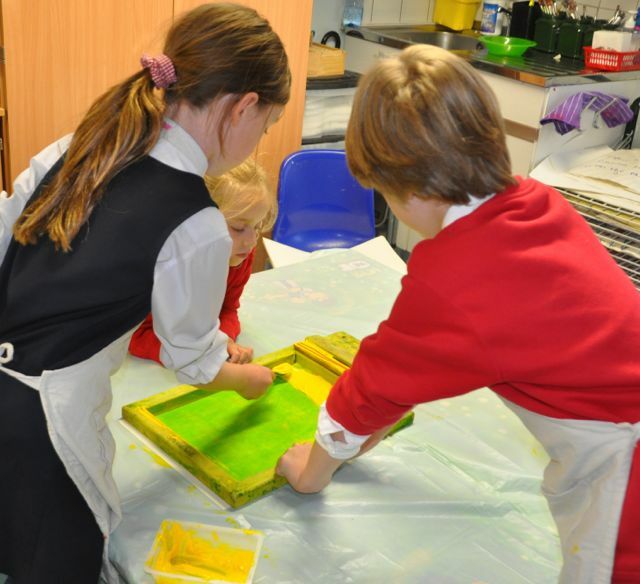 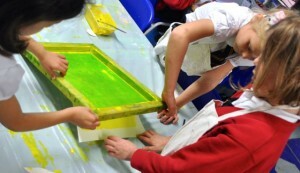 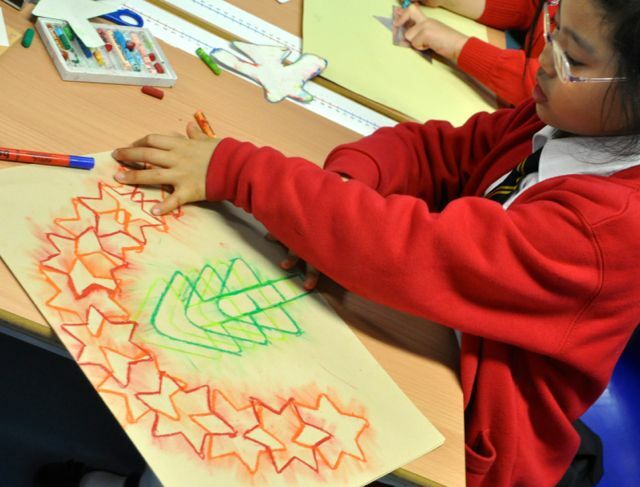 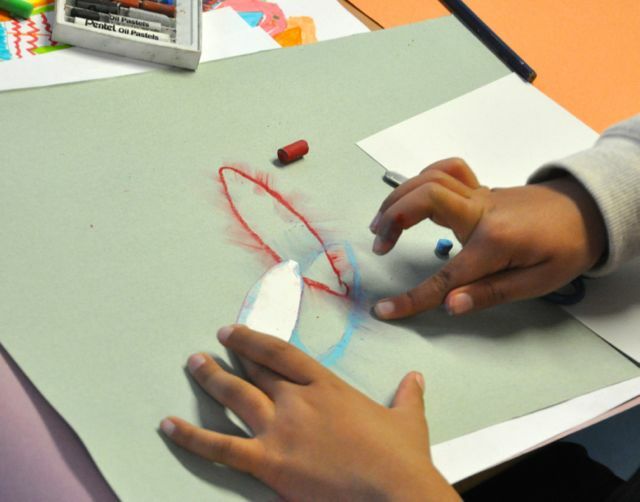 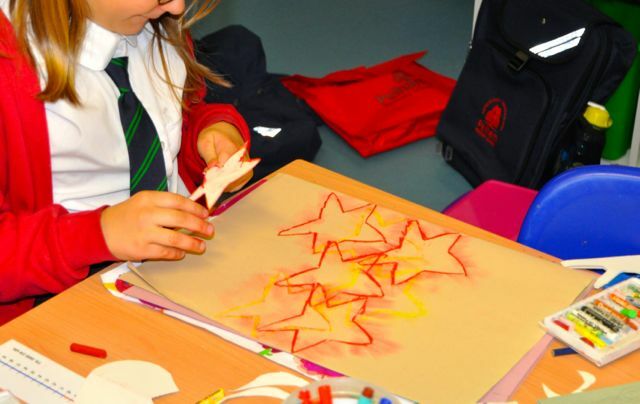 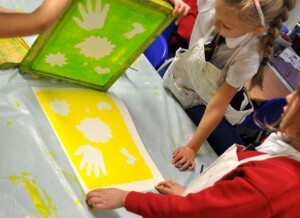 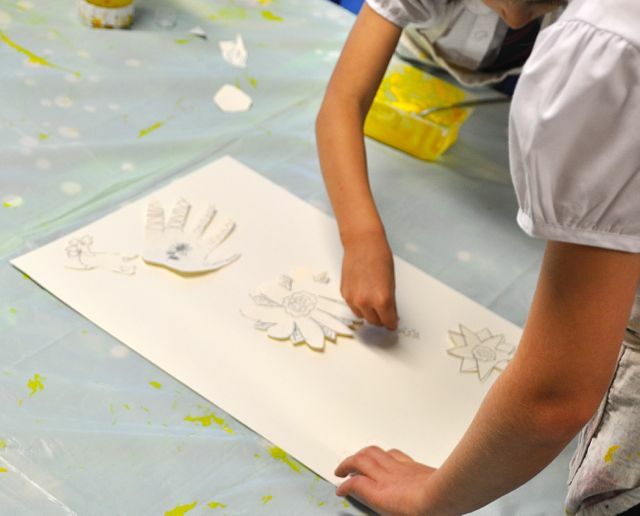 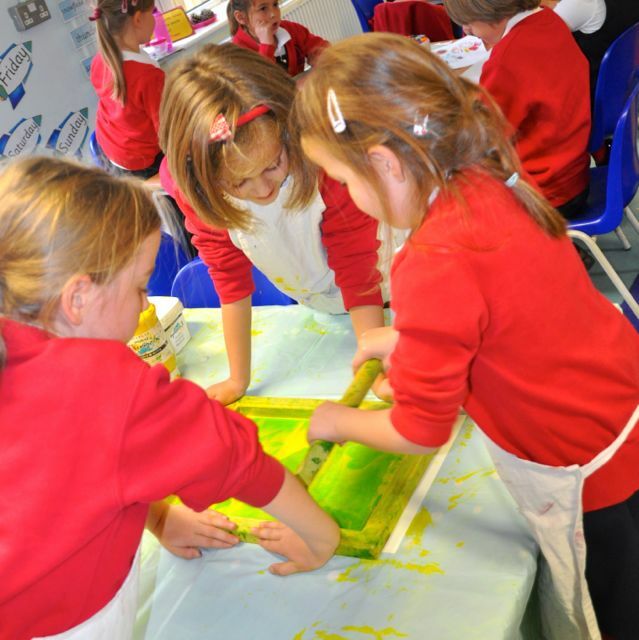 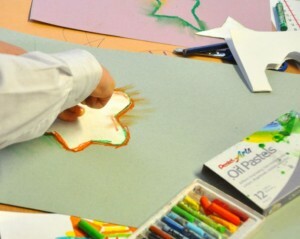 This week at Pelham School’s after school art club we were looking at how positive and negative stencils and templates could create pattern through screen printing and other techniques. 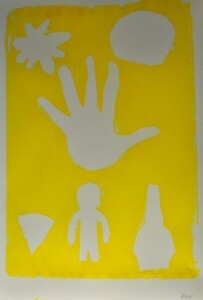 We worked in groups of 3 to create a simple screen print. We used our own shapes to lay ur a simple composition. 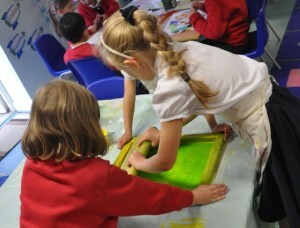 Laid the screen on top and spooned on the gloopy acrylic paint which was mixed with a printing medium. Two of us held the screen tight while the other pushed hard on the squeegee and dragged the paint over the screen. 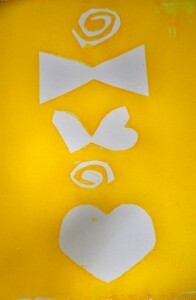 Peeling back the screen was the exciting part. To reveal the negative pattern. 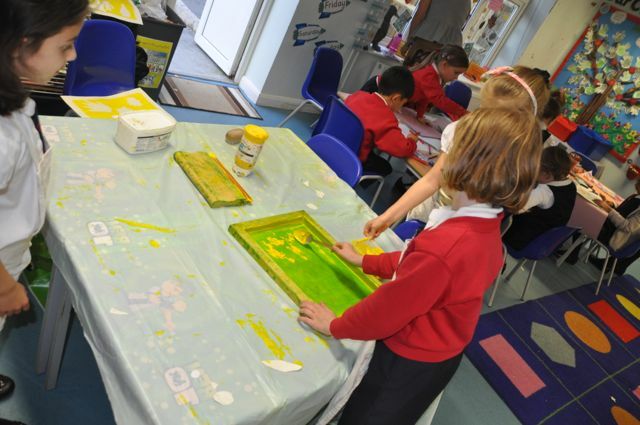 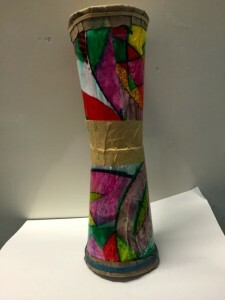 We took it in turns while the rest of the class were busy experimenting with different stencilling techniques to create patterns. We created some wonderful patterns. 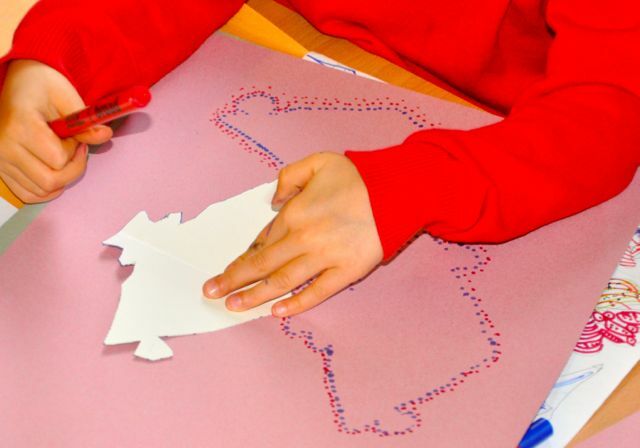 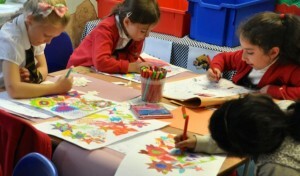 We also traced round them with dots inspired by aboriginal paintings. 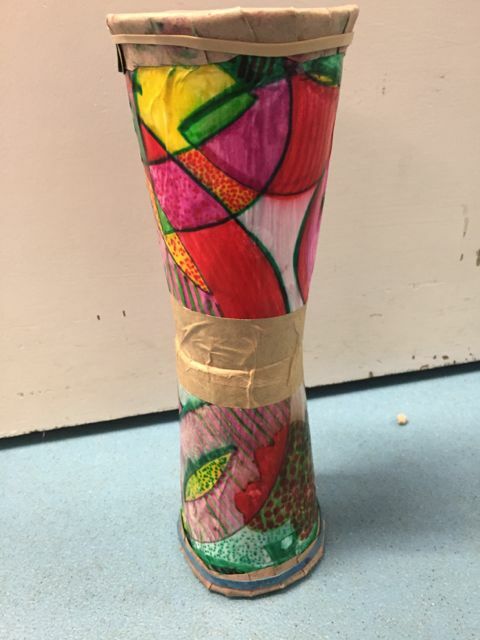 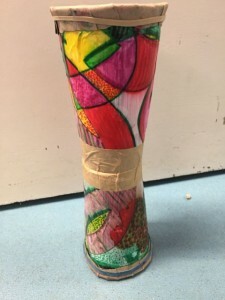 We also completed our patterned papers which will be used next week to start making musical instruments, linking in to the work we have been doing on marks and music.